"At Momo Shack, the product is fairly traditional. Every dumpling is formed by hand, one-by-one, a labor of love that involves a team of people. They’re delicately stuffed with fillings, almost to the point of bursting, to give each dumpling a generous heft." "Dallas loves its dumplings and here comes what is sure to be a new crush: Momo Shack Himalayan Dumplings"
"Alright – so let’s talk business. Tell us about Momo Shack – what should we know?" 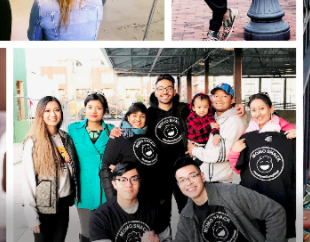 "THE STARS ARE ALIGNING THIS SUNDAY AS SEVERAL OF THE CITY's NEWEST AND MOST EXCITING ASIAN FOOD PURVEYORS ARE GETTING TOGETHER TO CREATE A POP-UP OUTDOOR MARKET AND CELEBRATION." "THE FILLING IS MADE OF YOUR TRADITIONAL FRESH CHICKEN OR PORK MEAT AND TOPPED WITH UNIQUE HIMALAYAN SPICES." "Momos are pretty much the same concept as dumplings, but they’re made with a Nepali taste and spin."